In a recent New Jersey alimony decision, a husband appealed from a order that was entered after a post-judgment plenary hearing and an order denying a motion after the hearing related to a divorce. The couple had been married in 1983. The wife was earning a master's in nursing and worked as a psychiatric nurse. The husband was a patent attorney. The couple bought a home in 1986. A few years later, they adopted an infant son, and the mother reduced her work hours to take care of the kids. A few years after that, they hoped to adopt again, but the biological mother reneged, and the child was returned. Due to this, the wife got depressed and resigned from her job, and she didn't work again. She was later diagnosed with bipolar disorder. At the time of the hearing, her diagnosis and condition stayed the same. The couple later adopted a second son born in 1996. The child had many health problems, including schizoaffective disorder and autism. The husband sued for divorce in 2001, and they worked out a property settlement agreement. The divorce came through in 2002. Under the agreement, they jointly owned their marital home, and both had to pay the mortgage. The home was supposed to be sold when the younger child turned 21. Following the property agreement, the former couple decided to refinance to increase the mortgage to $300,000. The husband got $75,000 to pay off their credit card debt, as well as another $8,000. The wife got $35,000 for paying an attorney and experts and was also going to get a credit for a mortgage pay down. She was responsible for paying the monthly mortgage payment via her alimony, but the father had to also pay property taxes and repairs for the home. 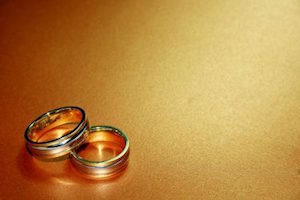 The agreement allowed the father to pay the mother $11,500 each month in permanent alimony and $4,000 in child support. The settlement was based on his income of $660,000 and the defendant's total lack of income. The husband married another patent attorney after their divorce, and they adopted a daughter from China. The new wife and daughter lived in China. In 2002, the new wife bought a coop in New York City and took out a $650,000 mortgage for it. The husband contributed $50,000 to buy the property. The new wife also bought a vacation home with her own money. Shortly thereafter, the husband asked the ex-wife if he could refinance their marital home, and she agreed. She'd been diagnosed with stage 2 breast cancer. She underwent chemo and radiation. The refinance took place, and the husband took $120,000 in equity from the house, while the ex-wife got $10,000. He asked to refinance again. She agreed, and the ex-husband got $145,000-$165,000 from the refinance, but she got nothing. He unilaterally stopped paying child support and alimony, and he stopped paying the mortgage and repair bills. The bank threatened foreclosure. The ex-wife sued to enforce his obligations, and he moved to modify his obligations. The motion judge temporarily reduced the support order and ordered mediation. The ex-husband didn't comply. Another motion judge asked the wife to pay arrears. After further motion practice, a judge found the ex-husband acted in bad faith. A trial was held over three days. The judge found the ex-wife's testimony credible. She testified the husband purposely dissipated the value of the home and impoverished himself. She also testified he'd deliberately stopped paying off the mortgage to create a foreclosure. The judge analyzed the statutory factors for alimony under N.J.S.A. 2A:34-23, noting in particular that they were married for 17 years. The judge found that the ex-husband had shown changed circumstances, but they didn't merit the temporary reduction a motion judge had given. The judge calculated he was in arrears by $240,766.47. The ex-husband wanted to retire, but the judge found that he didn't meet those factors and that his motive for retiring was in bad faith. He observed that the husband's demeanor made it clear he would do anything to leave his ex-wife and children destitute. The ex-husband appealed, arguing a denial of due process under the 14th Amendment, among other things. The appellate court explained that due process includes the right to present and cross-examine witnesses and time to prepare and respond. However, under Rule 4:37-2(a), when a plaintiff doesn't comply with an order, the court has the discretion to dismiss the action or claim against the defendant. In this case, the ex-husband had notice of his obligation to pay through four orders by three judges, and he was told he'd be sanctioned for lack of compliance. The ex-husband also argued it was an error for the lower court to allow his ex-wife, who was mentally ill and heavily medicated, to testify about his financial documents. With this, too, the appellate court disagreed. The ex-husband was a seasoned litigator and examined his ex-wife himself. He'd questioned her for a full day and never asked about medications or mental health. Instead, his strategy was to try and convince the court she didn't need alimony because she could work and wasn't incapacitated. The lower court found her credible. For these and other reasons, much of the judgment was affirmed. However, the appellate court reversed an imposition of liens on the real estate in the new wife's name, pending the outcome of judgment-related discovery. If you are considering a divorce in Bergen County, and you are concerned about an alimony modification, it is important to retain an experienced and aggressive attorney to seek an appropriate outcome. Contact the lawyers of Leopold Law at (201) 345-5907 or through our online form. We have attorneys available who can handle all aspects of a divorce.